Keegan Hamilton A new casino could disturb these wetlands. It's still a long way off, but Joe Edwards' decadelong dream to install a trolley that runs from the Delmar Loop to Forest Park moved one tiny step closer to fruition last week. At its meeting this past Wednesday, the area's chief planning organization, the East-West Gateway Council of Governments, approved the route and design of the trolley. As proposed by Loop entrepreneur/civic visionary Edwards, the streetcar line would run along Delmar Boulevard and DeBaliviere Avenue from University City's city hall to the Missouri History Museum in Forest Park. Approval from East-West Gateway, however, is one of the easiest hurdles the trolley project faces. Much more difficult is raising $50 million to build the 2.1-mile track and purchase the streetcars. Operating the trolley will cost another $4 million a year. Terry Freedland, who led the project for East-West Gateway, told KWMU (90.7 FM): "At this point we don't know where that funding's going to come from." Beginning last year, businesses along the route began paying a 1 percent sales tax to fund the trolley. But the tax is expected to collect only $300,000 to $400,000 annually. A Casino Next to a Conservation Area? Located at the confluence of the Missouri and Mississippi rivers just north of St. Louis, the Columbia Bottom Conservation Area is among the last stretches of undeveloped riverfront near the city. 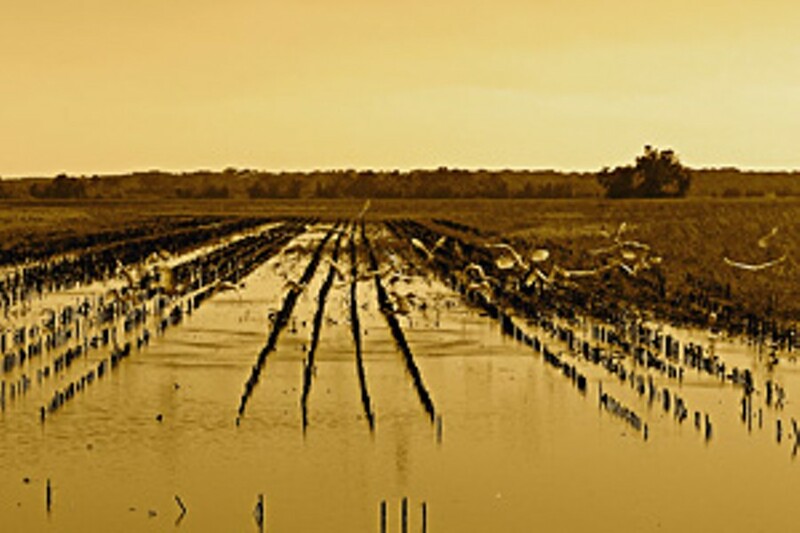 The Missouri Department of Conservation, the state agency that manages the 4,300-acre area, describes the land as "a mosaic of bottomland habitats...that will include shallow wetlands, bottomland hardwoods, prairie, and cropland. These habitats will attract a wide variety of resident and migratory wildlife for the enjoyment of all of our state's residents and visitors." If a local development group has its way, the number of visitors enjoying the area will increase dramatically. Only instead of nature hikes, the tourists will play golf, get pampered and pump money into slot machines. On August 10 the St. Louis County Board of Zoning Adjustment will hear a proposal from North County Development, LLC to rezone 376 acres of land immediately south of the conservation area for use as a massive "Riverview Casino." Plans for the casino include 8,000 parking spots, an eighteen-hole golf course with two artificial lakes, a convention center, a theater, a steak house, a spa and a wind farm. The proposal has raised eyebrows at the conservation department and prompted criticism among the area's residents. "It seems a little out of place," says Doyle Brown, a conservation policy coordinator. "There are other parts of the state where urban development comes right up against our areas, but it's hard to say if it's the same magnitude of something like this. We'd want to understand the project better, because it certainly could have an impact on things we're trying to do with the area." The Spanish Lake Community Association opposes the project, calling it "totally inconsistent" with the county's recommendation for low-density development in the municipality. "There are so many better ways to use this land," says Renata MacDougal, whose home is about a mile away from the area. "They need to understand that what they do there affects generations — it affects wetlands, wildlife habitat, floodplains. That's a precious resource." The developer says ecological concerns could be mitigated. "They're the typical types of environmental issues that concern any development at or near a body of water," says Ed Griesedieck, the company's registered agent. "We reviewed, with our engineers, the location and the potential issues that are there. They're not more significant than you'd find at any place in the floodplain, which is where you have to put a casino [in eastern Missouri]." Griesedieck points out that the project is a long way from becoming a reality. If the zoning board gives the proposal a favorable recommendation, it will require a review before the county council, additional hearings and an ordinance to approve the rezoning. There's also the issue of who would operate the casino and whether the operator would be able to obtain a license from the state's gaming commission. The number of gaming licenses is capped at thirteen; twelve casinos are in operation, and one is under construction (in Lemay). Griesedieck says an existing license holder would have to relocate to the Riverview location, or the state would have to approve additional licenses. There's also the possibility that an existing casino could close (the most likely candidate is the struggling President Casino on the Admiral riverboat) and free up a license. Griesedieck says the relationship between North County Development, LLC and a casino operator has "yet to be determined," though interest is strong despite tepid casino profits nationwide and the crowded local casino landscape. "The operators are proceeding cautiously," Griesedieck says. "They are seeing this as first indication that the county and state are behind them, indicating that this is an appropriate location for a gaming casino." Plans for land use in the casino development area will be presented at a public hearing at 7 p.m. on Monday, August 10, in the St. Louis County Council chambers, 41 South Central Avenue, in Clayton. You can view and download the official plans for the casino's development here. Down With King Louis IX! This past Thursday was Tisha B'Av, the ninth day of the Jewish month of Av and the saddest day of the Jewish year. Most Jewish holidays memorialize the deliverance of the Chosen People from certain destruction at the hands of various pharaohs, kings, sultans, etc., with lots of celebration and eating. But as anyone who has a passing knowledge of post-Biblical Jewish history knows, there have been far fewer clear-cut victories over the past 2,500 years or so. Yes, the Jews somehow survived, but they mostly owed their survival to expulsion to far-flung locales like Babylonia or, in most cases, sheer dumb luck. One of the chief perpetrators of Jewish agony over the past few millennia was King Louis IX of France, otherwise known as St. Louis, the man for whom our fair city was named. Unlike many kings of France, Louis IX took his position of "lieutenant of God on Earth" very, very seriously. He built a lot of cathedrals and, more important, led two crusades, the Seventh Crusade in 1248, and the Eighth Crusade in 1270. Neither crusade achieved the ultimate goal of reclaiming the Holy Land, but Louis IX did manage to strengthen the French garrison in Acre and then return home, which, compared to the fate of most crusaders, constituted a success of sorts. Leading big armies to fight Middle Eastern Islamic kingdoms costs a lot of money (as our current government could tell you). So how did St. Louis muster the funds for two holy wars? Why, he took it from the Jews, of course! Well, technically, he expelled from French soil all the Jews who worked as moneylenders and confiscated their property, but since money-lending was practically the only profession open to medieval Jews, it was pretty much the same difference. Once Louis finally hit the road, in the grand tradition of all crusaders since the eleventh century, he called for the killing of all "infidels" in his path, including, you guessed it, Jews. Louis' reign is recognized by historians as a high point in medieval French culture. In 1243 he organized the burning of 12,000 Jewish manuscripts in Paris, reasoning that the works might corrupt his good Christian soldiers. Now, it is true that Louis IX's book-burning, not to mention the expulsion of France's Jewish moneylenders and the seventh and eighth crusades, are only four entries in the catalogue of misery that constitutes a lot of Jewish history and tend to be overshadowed by larger events, such as the destruction of the two Temples. But at the top of Art Hill, there's that big statue of St. Louis, a physical entity toward which Missouri's Jews can direct their misery. And so, this Tisha B'Av, members of Washington University's Chabad gathered at the base of St. Louis' statue to recite liturgical poems memorializing the misery he wrought. Tisha B'Av being a day of fasting, refreshments were not served.